Larchmont Apartments, a LEED certified apartment community located in downtown Asheville, NC posed many construction challenges due to site location and size. 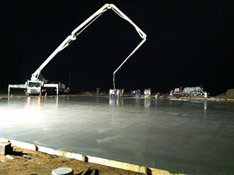 Three buildings, consisting of poured concrete walls ranging in height from 6 to 22 feet, were constructed. Chapin Concrete worked with the General Contractor, Architects, Engineers, Independent Testing Labs, and Suppliers to construct a foundation meeting LEED standards. 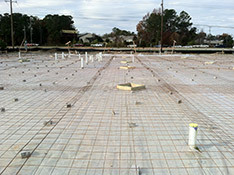 Key components of this project performed by Chapin Concrete included footings, poured foundation walls, slabs, waterproofing and drains. "I was so impressed with my new driveway. 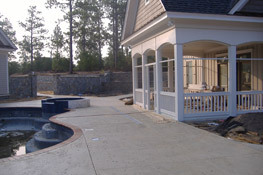 I would recommend Chapin Concrete Contractors to anyone in need of a high quality concrete driveway." 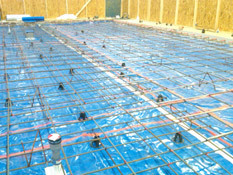 "Our building addition could not have gone smoother. The guys at Chapin are about as professional as they come." Copyright © 2018-19 Chapin Concrete Contractors, Inc. All rights reserved.